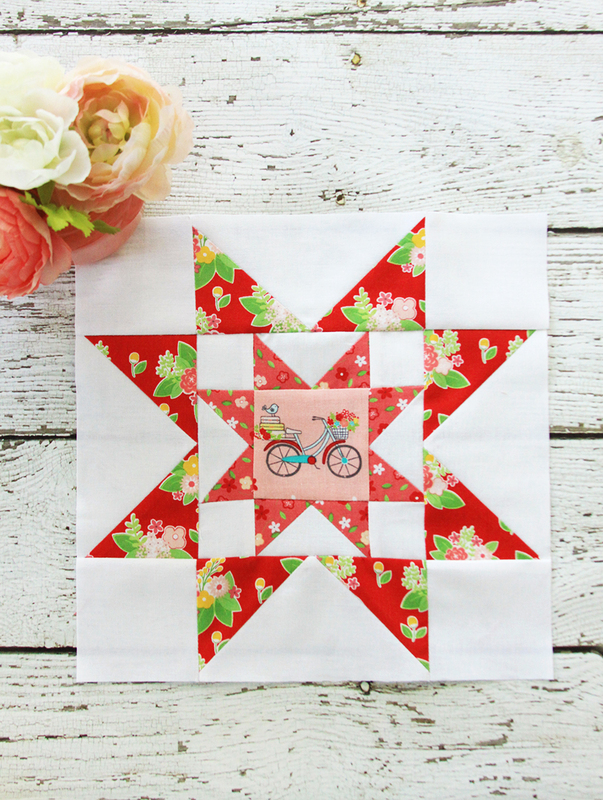 I can’t believe it’s time for the last block in the Meet the Maker’s Quilt Along! 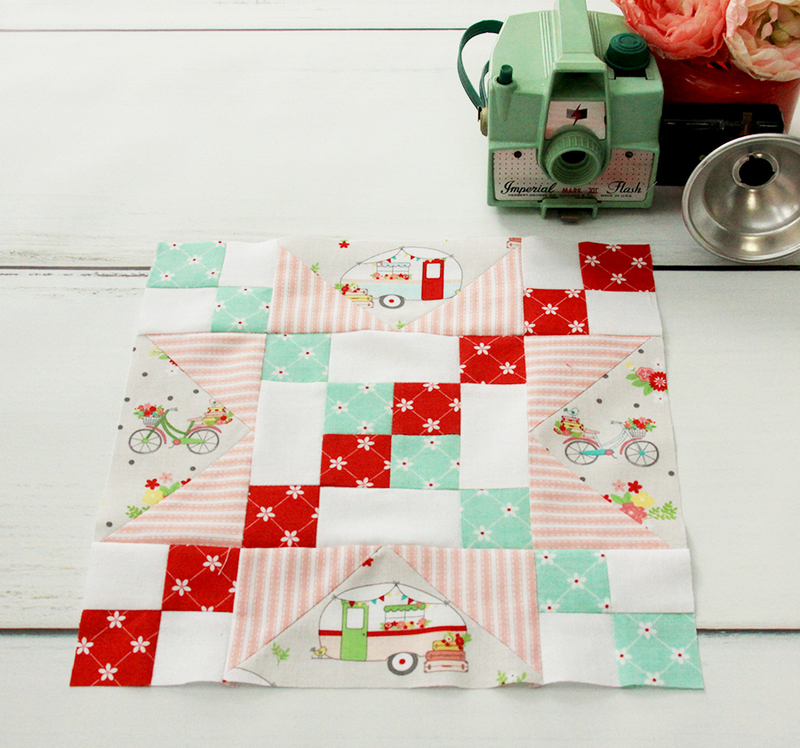 This has been such a fun month – I’ve had a blast sewing up these blocks in Vintage Adventure! This last block is the alternate block, so it will connect all the other blocks. There’s a lot of these! I’ve started with just this one but I do have plans to sew up the entire quilt in the next month or so. I can’t wait to see how it looks all together! 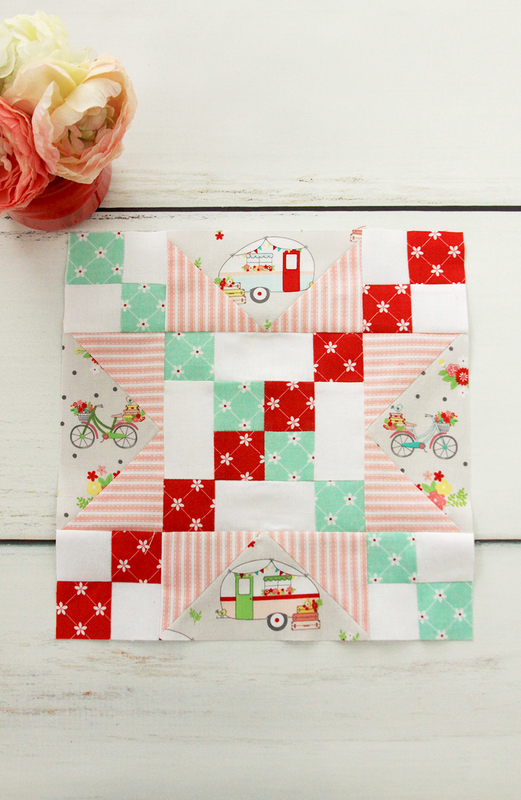 For this version I used the Pink Stripe for the flying geese and I did some fussy cutting of the gray bicycle and gray camper fabrics. They work perfectly in these little blocks! 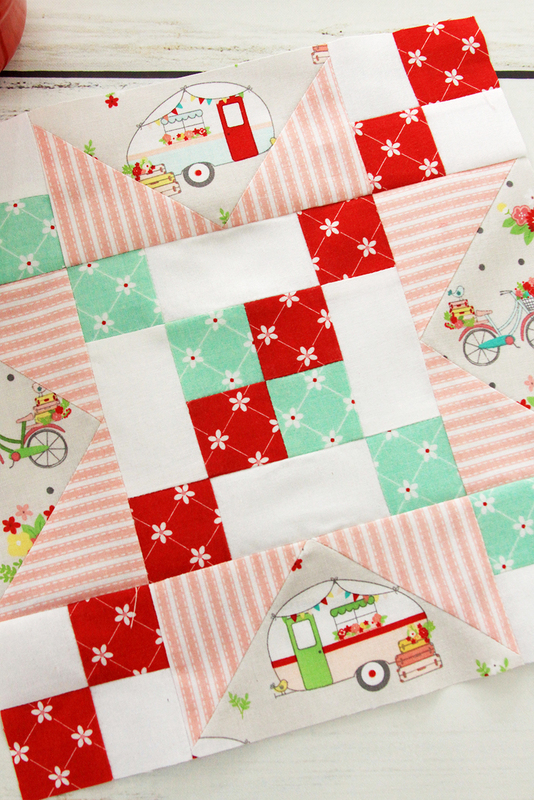 The red and aqua trellis fabrics make up the little squares. 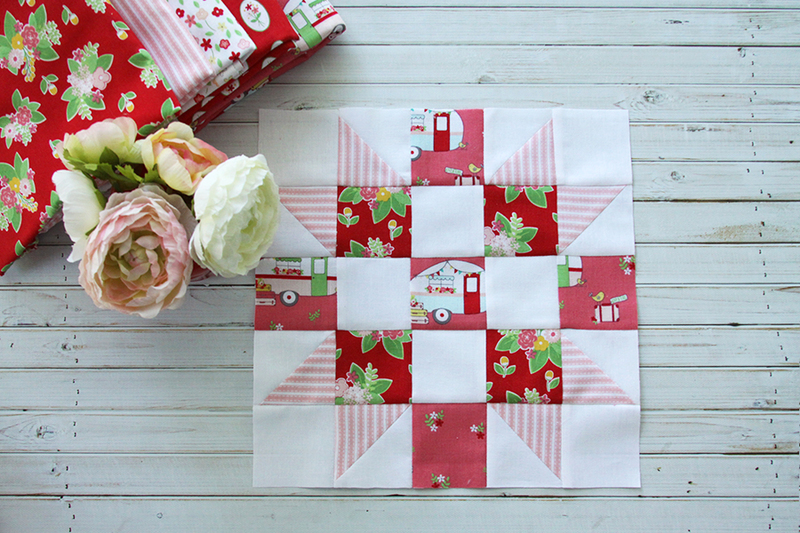 I love how that trellis print has a quilted look to it! I used the Confetti Cottons Riley White for the base. That’s my background fabric for the entire quilt. 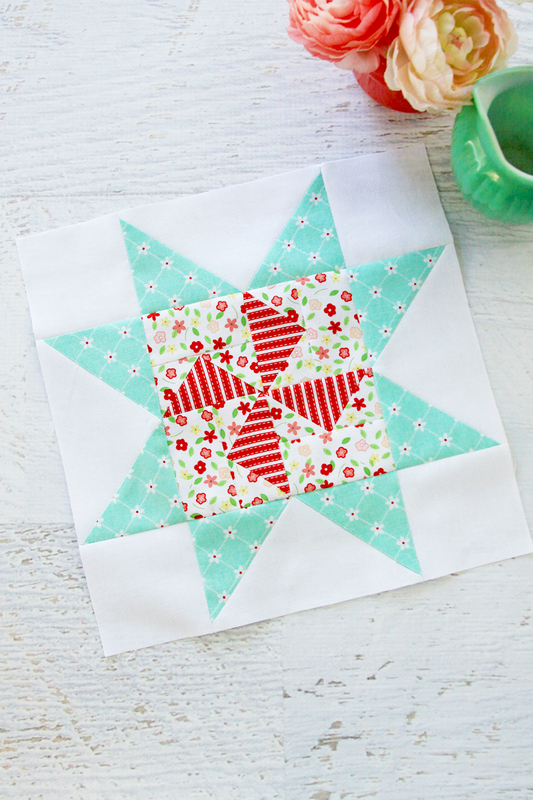 You can find the tutorial and video for this block on the Riley Blake Designs blog. You can also follow along with the photos on Facebook and Instagram with the hashtags #meetthemakers #meetthemakersquilt and #rbdmakers. 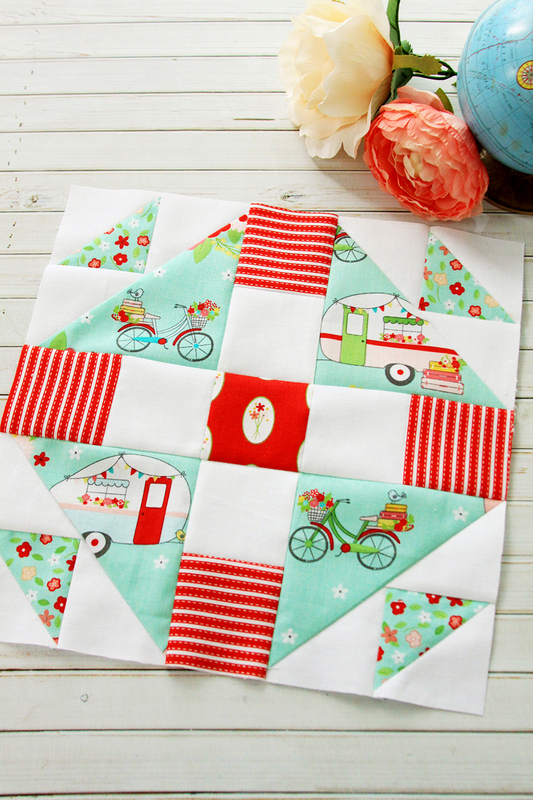 It’s so fun to see the blocks made up in different fabrics! It really gives them a completely different look. 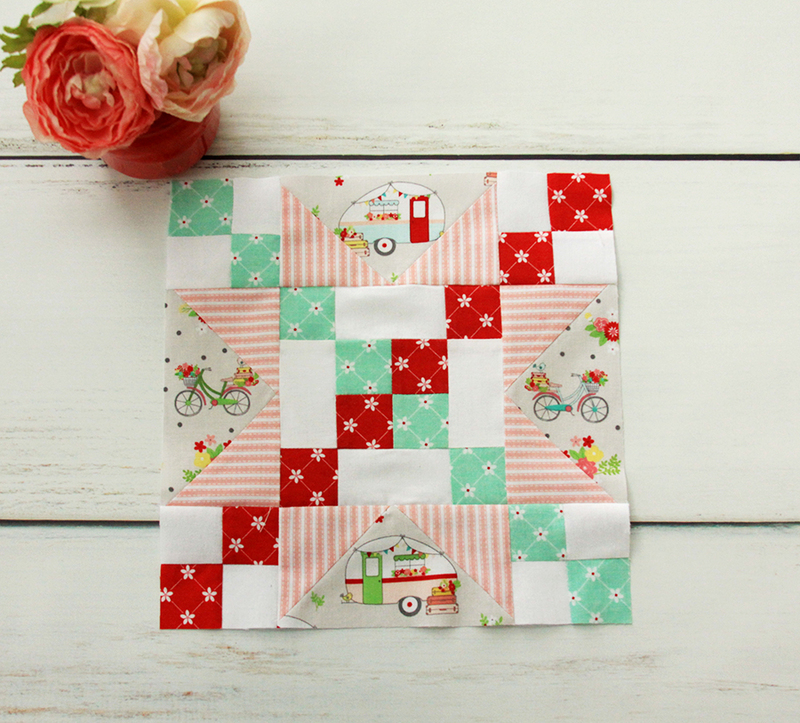 I really love the blocks when they are made with your Adventure fabric. I just love it. Unfortunately I only bought one colourway now I’m trying to buy more in other colours and I’m kicking myself. 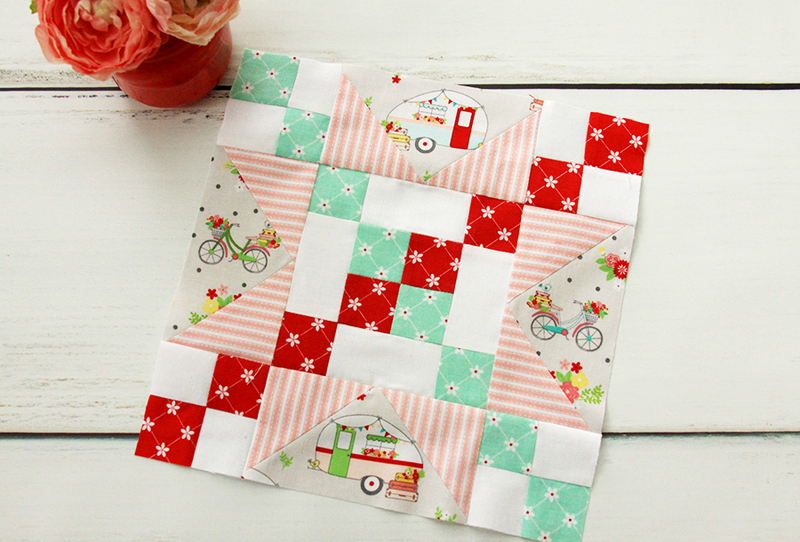 The fabric just looks amazing used in these blocks and carefully fussy cut. Just beautiful.